Ina Garten's ninth cookbook, "Make It Ahead," offers plenty of advice and delicious recipes that makes entertaining easier and more enjoyable. 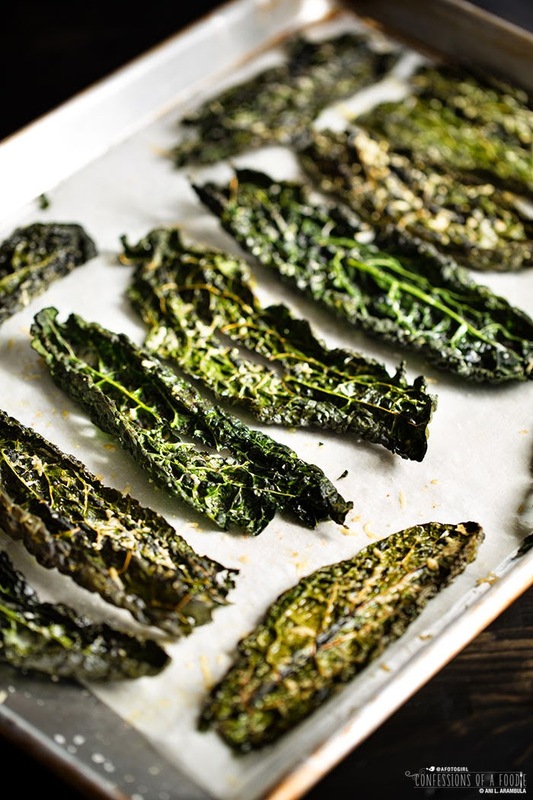 Preview the book with this easy Parmesan Kale Chips recipe that's a healthy low carb snack. 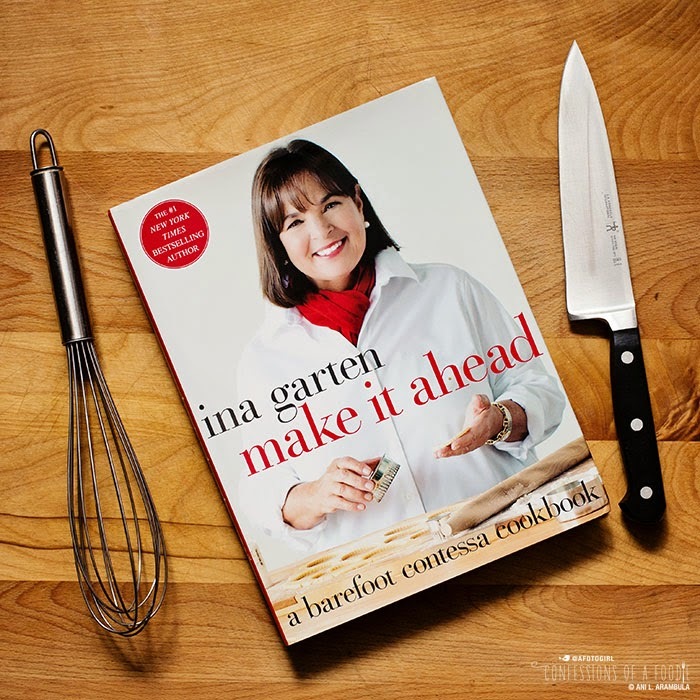 Goodreads voted Ina Garten's ninth cookbook, "Make It Ahead," the Best Cookbook of 2014. 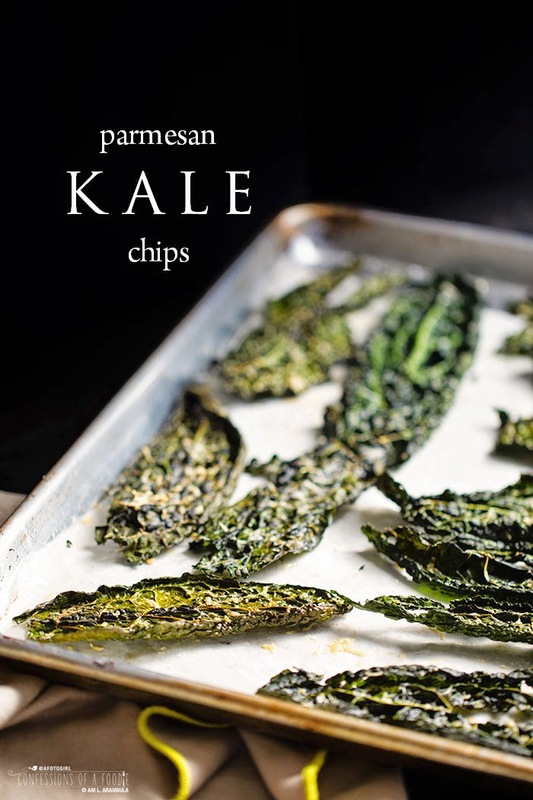 Preview the book with this easy Parmesan Kale Chips recipe (a healthy low carb snack!) 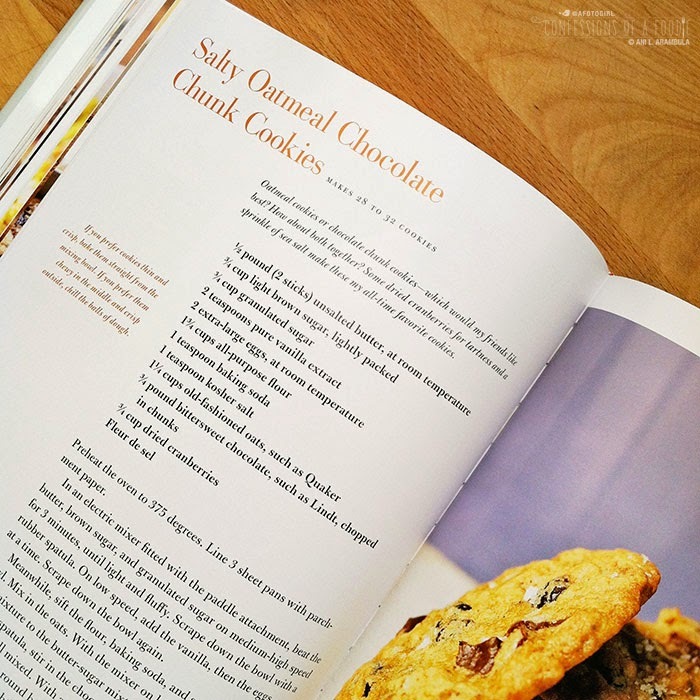 and get an inside look at this beautiful cookbook. Read to the end to enter to win your very own copy courtesy of Crown Publishing. A friend posted on Facebook not too long ago that she felt that the "dinner party" was dead. To be sure, since I changed my living arrangements, I’ve not been in a position to host friends for dinner which, considering how often I used to entertain, has definitely been an adjustment. But when I read my friend’s post, it did make me stop and try to remember the last time I was invited to a dinner party and I can honestly say that it’s been so long that I can’t remember when. Maybe it’s the economy? Maybe it’s a lack of time? Maybe it’s just the fear of entertaining and coming up with a doable menu that won’t keep you in the kitchen while your guests are left to fend for themselves in the living room? If it’s any of these things that are stopping you, then Ina Garten’s newest, "Make It Ahead: A Barefoot Contessa Cookbook" will be a welcomed companion in the kitchen. I have time to fix a problem or even change the menu." Ina Garten, from "Make It Ahead"
I watch Barefoot Contessa whenever I’m home and find it on the Food Network. I like Ina’s food and enjoy her easy way of teaching and sharing her knowledge and techniques. 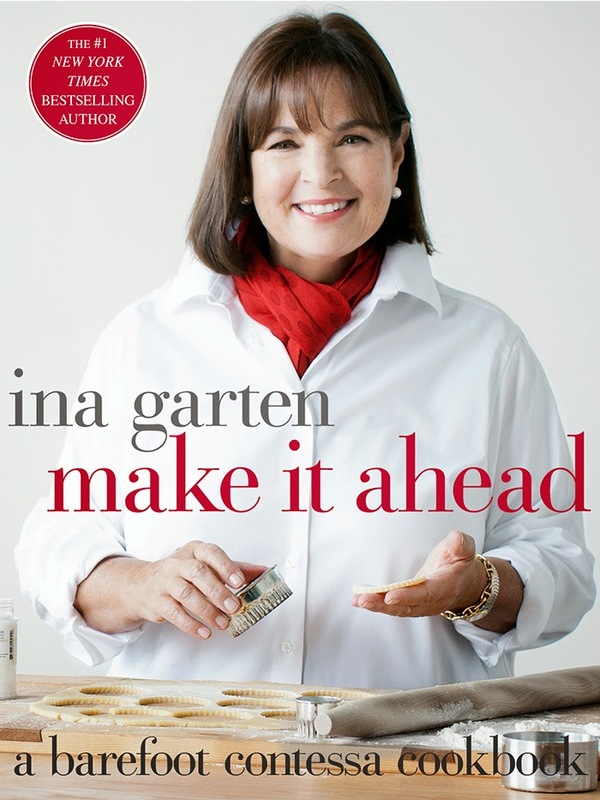 “Make It Ahead” is her ninth cookbook and the first in my library. Granted, there weren’t many recipes here that I could make for my everyday meals but there are plenty I can see making for Sunday supper or special gatherings. Indeed, there is a lot to love about this book. From Ina’s “10 make-ahead tips for parties” and “10 tips for safely storing food” to her “make-ahead menus” that include suggestions for a summer breakfast, birthday brunch, labor day lunch, ladies who lunch, fireside dinner, holiday dinner, July 4th celebration, and even a menu for an anniversary dinner, help to earn this volume a space in any aspiring home cook’s library. One of the first things to jump out at me when I first opened this book was the gorgeous photography. Every recipe is accompanied by at least one full page photo of naturally lit food that made me hungry just looking at them. 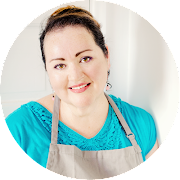 Once I started reading (and yes, I’m one of those people that will read a cookbook like a novel), I found her voice coming through loud and clear with every paragraph, as if she were there with me, cheering me on and teaching me her style of cooking. The recipes are written like little action movies, filled with verbs and director’s notes in the form of parenthesis, helpful headnotes, and sidebar notes clarifying a technique making these full proof and easy to tackle. 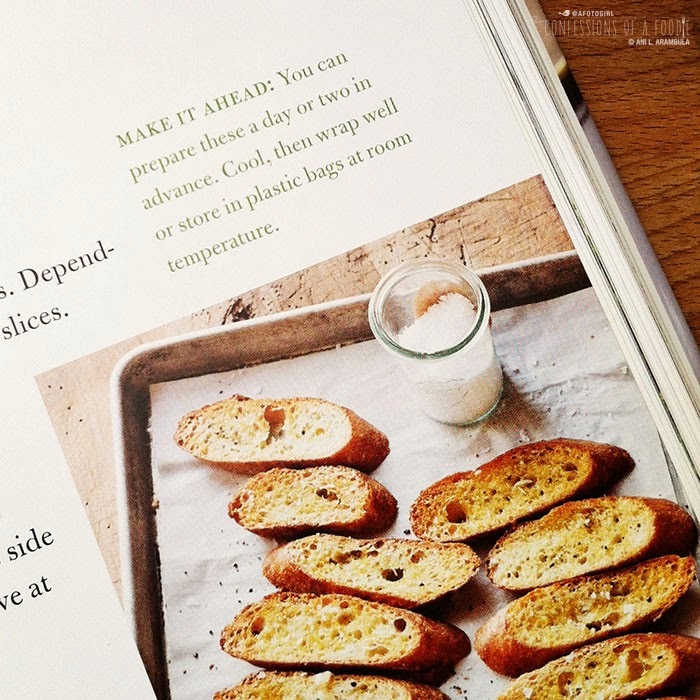 The recipes were written to enjoy the dishes on the day they’re prepared but also include a “Make it Ahead” suggestion in the sidebar. While some suggestions were obvious like chopping and slicing vegetables the night before, several dishes could be nearly fully assembled then refrigerated or even frozen until needed. 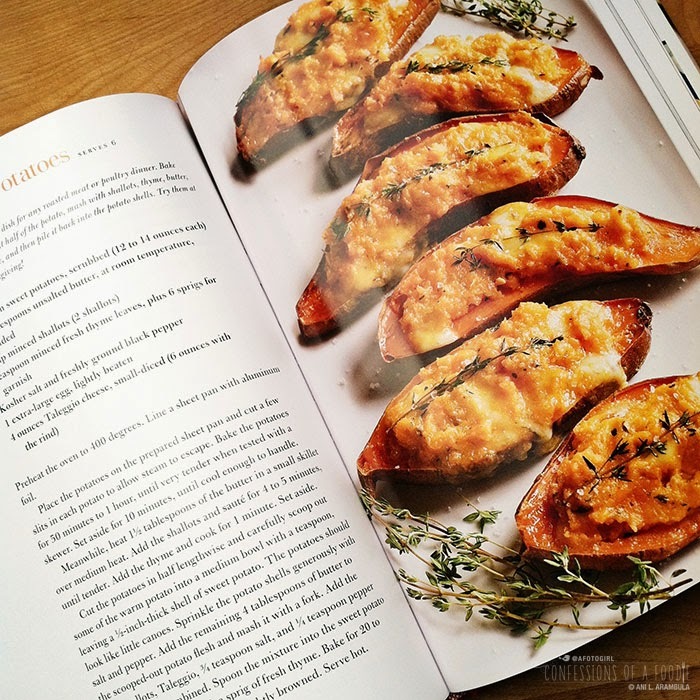 The overall look of the book is fresh and modern with fonts that are beautiful, giving the recipes an orderly hierarchy making it easy to follow along in the kitchen. (As a side note: Always, no matter what the source, read a recipe in it’s entirety at least twice before cooking to ensure you understand all the steps, can gather and prep your ingredients and get your cookware and utensils at the ready.) My only “huh?” moment comes when considering the colored type — and there’s a lot of it, too. If you, like me, are a designer and affected by color, you might find it a bit jarring to have the recipe and accent type change as often as it does. I could understand the colored type if it were used as a navigational tool, changing from chapter to chapter as a visual marker to inform the reader which section the recipe is in rather than randomly changing color several times within any given chapter. Again, a minor detail that probably only a designer would be bothered by. Because I’ve been wanting a healthy low carbohydrate snack, I choose the Parmesan Kale Chips (pg. 28) to test and I couldn’t be happier that I did. It is going to become one of my go-to recipes when I’m craving a slightly salty nosh. 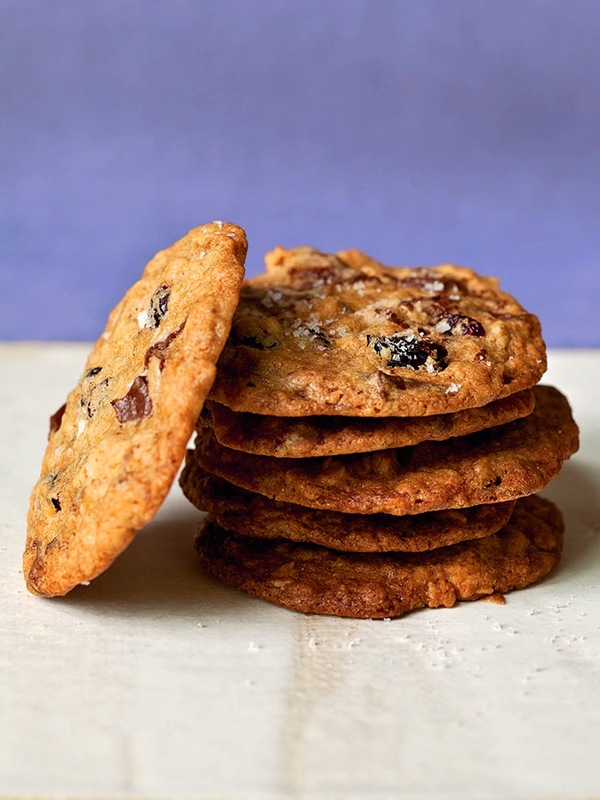 Salty Oatmeal Chunk Cookies. Photo by Quentin Bacon for Clarkson Potter. 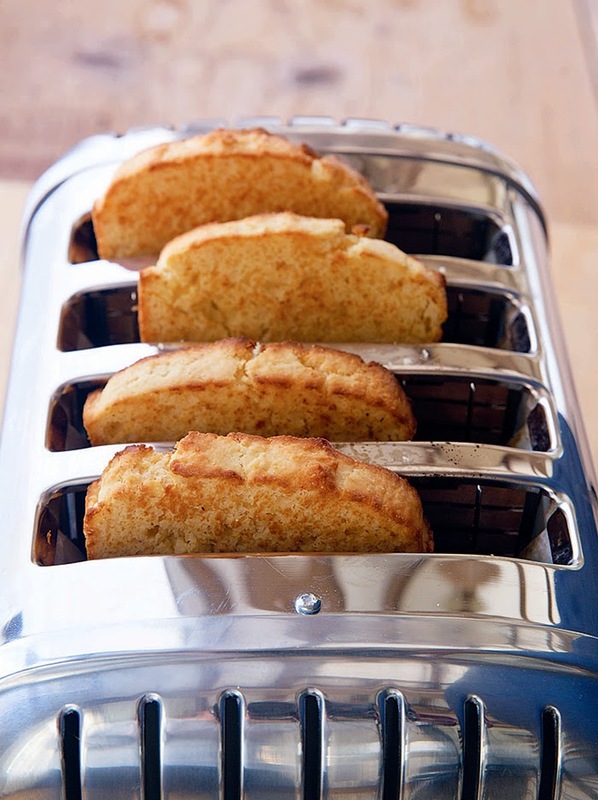 Sour Cream Corn Bread. Photo by Quentin Bacon for Clarkson Potter. With the holiday season upon us, many folks will be hosting out-of-town friends and family which means coming up with at least breakfast and dinner for several people. One of Ina's suggestions for breakfast, which I absolutely love guests or no guests, is to make muffin batter before bed, pop it in the refrigerator, then in the morning, you just have to scoop it into muffin pans, bake them and everyone gets to enjoy a breakfast of freshly baked muffins (such as Ina’s Blueberry Bran Muffins, pg. 256 which I’m hoping to make for a mid-week breakfast!). What better way to say good morning to friends and family than with a warm, healthy muffin? Mmmm. I can taste them now. Read on for Ina's recipe for Parmesan Kale Chips PLUS a chance to win your very own copy of "Make It Ahead!" Kale is a delicious vegetable that seems to be everywhere now. 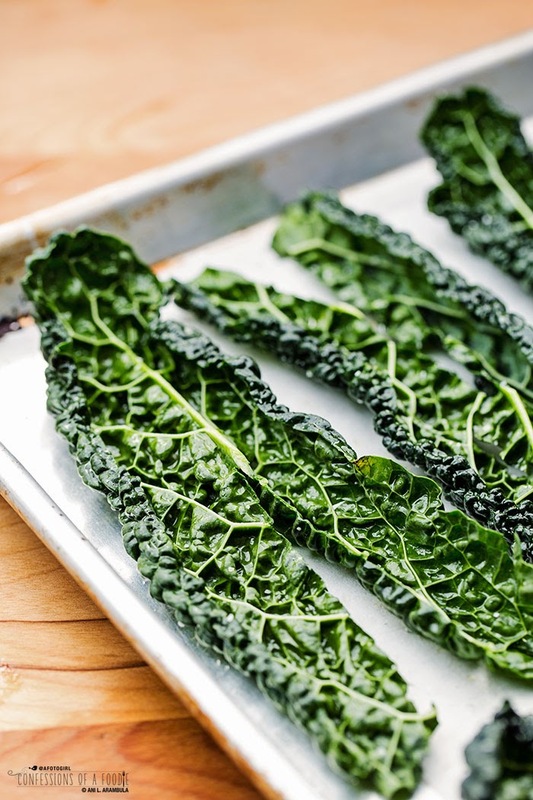 If you can find flat kale—sometimes labeled cavalo nero, Dinosaur kale, or lacinato—it can be roasted for the perfect light bite to serve with drinks. It’s simply kale, olive oil, and salt, and it roasts in 15 minutes. Of course, freshly grated Parmesan cheese makes everything taste better. With a sharp knife, remove and discard the hard rib from the center of each leaf, leaving the leaves as intact as possible. Place them on the sheet pans, drizzle or brush them with olive oil, and toss to coat lightly. Sprinkle generously with salt and bake for 10 minutes, until crispy. Sprinkle lightly with Parmesan cheese and bake for another 5 minutes. Cool and serve. Reprinted with permission from "Make it Ahead." Copyright © 2014 by Ina Garten. Non-watermarked photographs by Quentin Bacon. Published by Clarkson Potter/Publishers, a division of Penguin Random House, LLC. Disclosure: I received a copy of this book directly from the publisher for editorial consideration. All opinions are my own. 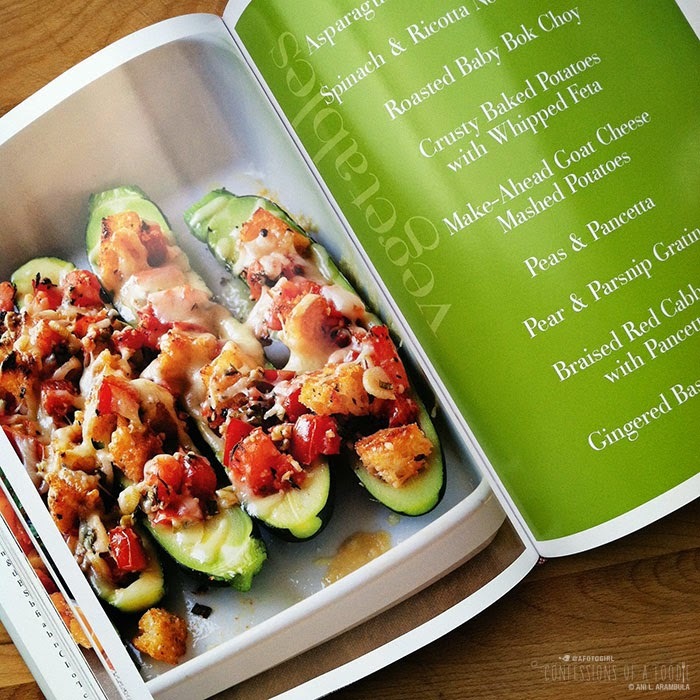 I love Ina and I hope to win this cookbook. Your chips looks snazzy! My homemade macaroni and cheese!